For a long time, the Ethiopian empire has gone through various military and political system changes. In such situation, for the last 27 years, the TPLF government, along with its surrogates, OPDO, has declared an open war on the Oromo Liberation Front (OLF) and the Oromo People. However, recently, as one can understand from the political climate in the government and its military camp, it is apparent that the Ethiopian government is engaged in a secret war against the OLF. OLF has consciously reserved from responding to such propaganda campaigns targeted at us from every corner and we rather decided to focus on intensifying our struggle and will continue to do so until we liberate our people and secure their right to self-determination. The secret war, recently opened on the Oromo struggle, has continued broadening its campaign field, and by often changing its campaign tactics and strategies. Propaganda campaign: As part of the continued propaganda war against the Oromo struggle in general and OLF in particular, recently, however, the propagandas are targeted against the OLF/ Oromo flag. At various stages of the government, the OPDO higher officials as well as the media outlets that they control like OBN are continuously running a propaganda campaign against our flag, which is indeed not a secret to the Oromo people. 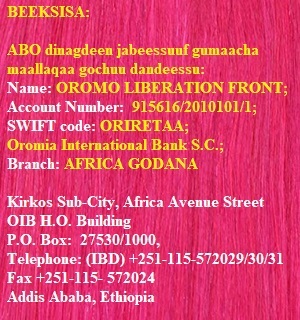 Campaign against the Oromo struggle (QBO): It is now undeniable that the strength of the Oromo struggle (QBO) and above all the conscious unity of our people has reached a different level. Many, including OPDO, have seen and in fact forced to witness the outcomes resulted from the strength of the Oromo struggle. While the strengthening the Oromo people struggle, nurturing the unity of the people and help in precipitating the Oromo camps, running a name-smearing and condescending campaign by OPDO/EPRDF exposes their hidden anti-Oromo freedom agenda. It is ostensible that the Oromo struggle has reached to its current state by the unprecedented scarifies paid by the Oromo people. Mocking and disrespecting those who scarified their lives for the cause of people and belittling the Oromo liberation army (aka WBO) by the highest officials of OPDO like Lammaa Magarsaa and head of government Abiy Ahmed is truly a shameful. It is public that the OPDO officials continue to disparage the Oromo struggle at various stages including on public gathering. 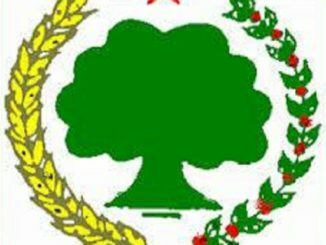 Campaign against the Oromo elites: The TPLF military-led hunting of the Oromo political elites, the Oromo youth, and the Oromo elders are taking place across Oromia including in Finfinnee. Imprisonment, abduction and harassment, disappearance, torture, and killings are widely carried out in the entire region. Although it is not new to the Oromo people as such harassment and killings have been going on for the last 27 years, such heinous government-led crimes are taking place while the government officials are talking days-in and days-out about political reform in the country. This clearly suggests that the Ethiopian government is not serious about the reform beyond just talks. days-out to destroy OLA are for the interest of the Oromo people, then they would have first disarmed the TPLF security agents, the military, and the Somali Liyu police that have been killing, evicting and destroying the life of the people and committing ethnic cleansing in the area. Note that such heinous crimes are taking place while TPLF/OPDO talk about the so called “reconciliation” process for over two months. As we stated above, recently, the TPLF/OPDO government openly runs a political propaganda against OLF and OLA across the Oromia border. Lammaa Magarsaa’s speech at the Dambi-Dollo’s public gathering is among the propagandas planned against our people’s struggle. In his speech, Lammaa Magarsaa insulted and also threatened OLA by saying” it’s possible to run armed struggle for a couple of months but eventually, the well militarized government will destroy it”. Lammaa’s speech clearly showed his abomination about the Oromo struggle in general and OLA in particular to the world. Currently, a group composed of selected loyal people from TPLF’s security service, military camps, and OPDO’s regional and local officials is dispatched to the Southern Oromia around Yaa’a Bal’oo and in the Western to Qellem Wollega area, which are a continuation of the EPRDF/OPDO’s secret campaign plan against OLA. According to these plans, in Yaa’a Bal’oo area, about 42 people, who came together from 13 different localities, are conducting a conference to discuss superficially about the topics pertaining OLF but secretly implementing the agendas given to them from TPLF/OPDO. The aim of this conference is short and plain clear: run their political propaganda campaign so that the people help them to push OLA to give up their arms and surrender to the enemy camp thereby eliminate OLA activities in the area. Similarly, in the Western Oromia, a group of committees called “Koree Qulleessituu Godina Qellem Wallaggaa (A Cleaning Committee)” was formed and dispatched to the area. 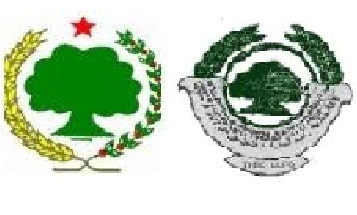 Each committee is formed from three selected OPDO members from Oromia region, the head of the zone, a federal special force and an Oromia police force (aka Kora bitteneessa) and these sets of committees are dispatched in every locality of the zone. 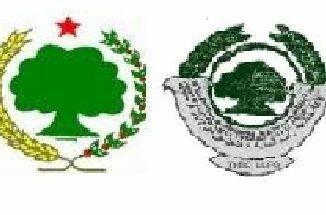 Furthermore, EPRDF/OPDO is clandestinely planning to open a large-scale war to eliminate the organizational structure of OLF and its leaders in the region. OLF Calls upon: The Oromo People It is apparent that you, the members of the OLF, OLA and the Oromo youth movement (Qeerroo-Qarree Bilisummaa Oromoo) have paid unprecedented scarifies to secure the right of the Oromo people to self-determination, the respect and dignity of that the Oromo people deserve, the freedom, and the right of the Oromo people to decide on your own nation and destiny. Specially, it is clear that the Oromo people as well the whole people in the empire have learned a lesson from the victory of the Oromo youth movement. Today, OPDOs and their affiliates are making speeches across the region using some selected nationalistic words. However, the Oromo people must know that, these are the same people who have been killing or helping the TPLF to kill you and your sons and daughter, harassing you and evicted you from your ancestral land. Today, they are pretending as if they are standing for you, but clandestinely working to destroy your organization, the OLF, OLA and Qeerroo. 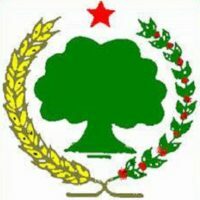 Therefore, OLF call upon the Oromo people to be aware of the EPRDF/OPDO propaganda and security campaign; and while maintaining the victories gained so far, to be ready not only to defend itself from EPRDF/OPDO declared war, but also to safeguard OLA and help OLA to intensify and move forward in its struggle. It is obvious that the Oromo people and OLF have practically brought a due respect to the whole Ethiopian people through its long-time struggle. The Oromo people also desire a similar and fair treatment from all the peoples of the empire and thus, we, the Oromo people also expect a due respect particularly on our own affairs and cooperation for our struggle. Still the Ethiopian government is trying to break the Oromo people and take away their interest by military power. The Ethiopian government has shaded the bloods of many Oromos and it is still continuing across Oromia. Therefore, OLF calls upon all Ethiopian peoples to understand the Oromo cause and stand with the Oromo people and its struggle. The leaders of the Ethiopian government, the Oromia government and the forces behind them for the last 27 years, in addition to the century long war declared on OLF and the Oromo people, the bloods of many people particularly that of the Oromo sons and daughters have shaded. In this barbaric bloodshed, the roles of the OPDO leadership and their cadres are very well known to the Oromo people. Therefore, OLF wants to reaffirm that the leaders of the Federal government, the Oromia regional state and the forces behind them are fully responsible for all the blood shade, the life and properties that have been lost. As one can recall that OLF has released a press statement on how to solve the Ethiopian political crisis. In addition, OLF has taken, on various occasions, every step necessary to curb the political, economic and social problems of the country. Instead of tackling the issues that are holding the country back, however, the Ethiopian government rather chooses to focus on running a propaganda campaign against the OLF, the party that has a majority support of the Oromo people. Therefore, the Ethiopian government and its affiliates must know that focusing on non-ending military and propaganda campaign does not solve the real issue that the country is now facing; perhaps, it makes the problems more complex. 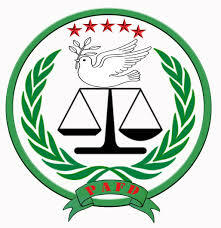 In addition, OLF call upon the international community to take a clear stand on the serious political crisis in Ethiopia and still pressurize the government to respect the international human rights, to stop its vicious act against its own people, and to stop it from being a hurdle to the fundamental change taking shape the country. Therefore, we demand the international community to stand with the Oromo people as well as the people of the region, which are scarifying their lives for the peace, human rights, democracy and freedom of the people of the region. OLF also reaffirms that this undeclared EPRDF/OPDO war against the OLF, OLA and the Oromo Youth movement for freedom will never succeed.